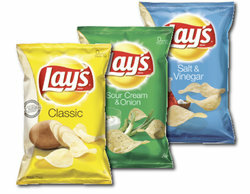 Lay's Potato Chips (Deli Size). 1.5 oz Bags. Great quality and flavor. A real crowd pleaser. Choose your favorite flavor below.